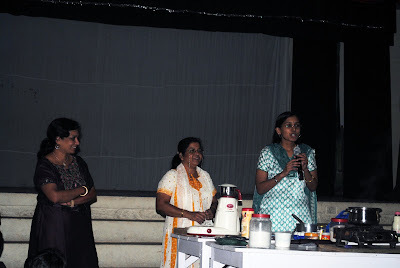 wow…..that cake looks great da…pinney u soon will become a famous cook, not a surprise..its good u get events like this back home…..loved the event, and your way of writing too…puthiya blog look adipoli…..loved it….ur older one had a dull look, sathyam parayaanenkil…. Nice pictures! I'm sure all kids had a wonderfull day!! Yor cake looks so yammy!! wow that a wonderful cake for the kids.. First time here in ur space.. u have a wonderful one..
For the first time during my headship at HRS we have a committed and talented parent who has come forward to share her culinary skills with the toddlers. It was great time of sharing and fellowship with staff and students. Thank you Nimi for spending your time with us. Thank you Nimy for the voluntary initiative for the HRS kiddies. HRS Family enjoyed the session and hope to have more sessions with Senior School students. I just envied you as you demonstrated cookies-bake so effectively to the kiddies at HRS. Truly a great achievement, to have given a chance to every kid to participate. Kudos to you and may the good work continue! @HRS..Thanks to all you for your valuable comments.Well my credit goes to you guys(the faculty of HRS)for being so supportive and nestling up a comfort zone in the school arena. So cute and a pretty cake!!! 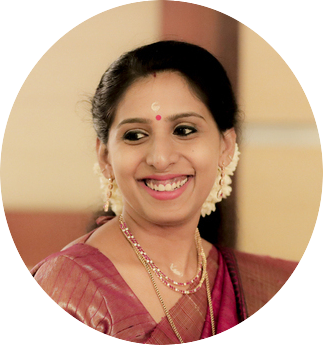 I love finding Indian Blogs and congrats on joining networked blogs!! i have jus put up a post for where we can shop In INdia for all the cute stuff we bloggers so muc love!! Check 'em here – http://brightmorningstarsfoodie.blogspot.com/2010/06/loot-pretty-stuff-and-blogger.html?